This is my tarot card version of The Star. 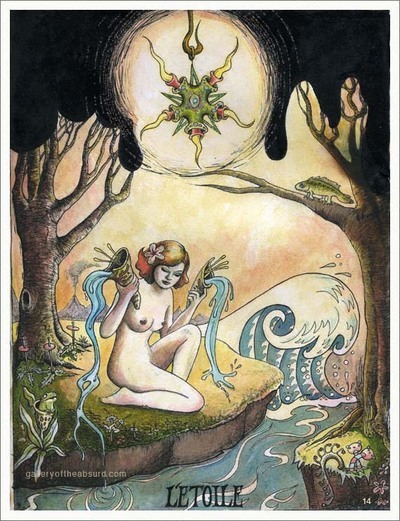 I've very slowly been working on creating my own tarot deck and began with one of my favorite cards in the Major Arcana. I took a few liberties with the traditional symbolism, but the basic meaning is the same. Medium: ink, watercolor on antique paper.